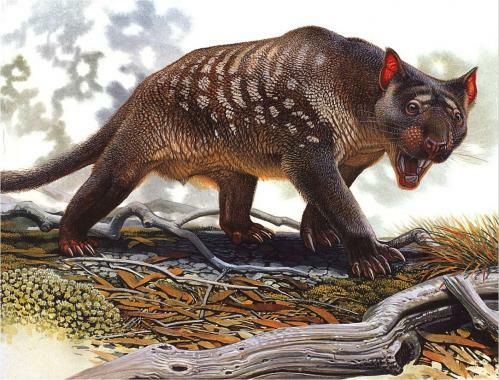 Most species of gigantic animals that once roamed Australia had disappeared by the time people arrived, a major review of the available evidence has concluded. An international team led by the University of New South Wales, and including researchers at the University of Queensland, the University of New England, and the University of Washington, carried out the study. It is published in the Proceedings of the National Academy of Sciences. "The interpretation that humans drove the extinction rests on assumptions that increasingly have been shown to be incorrect. Humans may have played some role in the loss of those species that were still surviving when people arrived about 45,000 to 50,000 years ago – but this also needs to be demonstrated," said Associate Professor Stephen Wroe, from UNSW, the lead author of the study. "There has never been any direct evidence of humans preying on extinct megafauna in Sahul, or even of a tool-kit that was appropriate for big-game hunting," he said. "It is now increasingly clear that the disappearance of the megafauna of Sahul took place over tens, if not hundreds, of millennia under the influence of inexorable, albeit erratic, climatic deterioration," said Associate Professor Wroe.